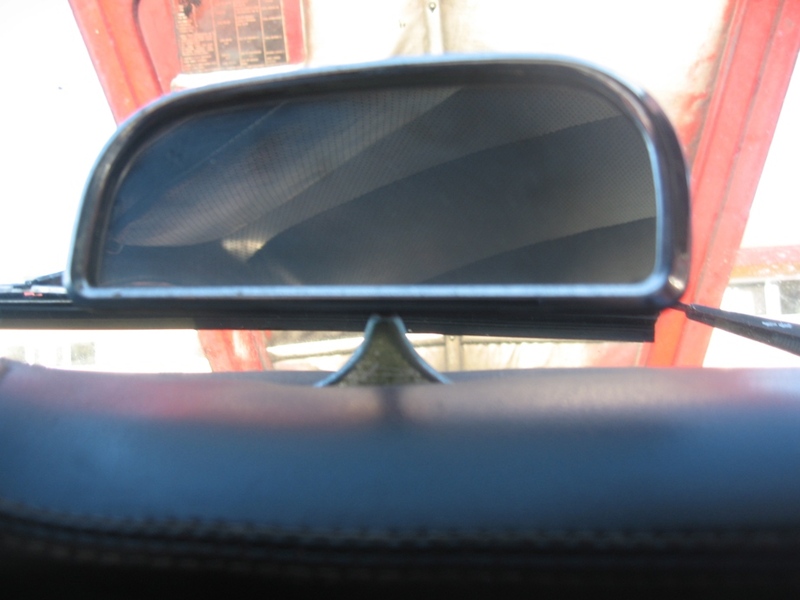 As part of my push to just get the Giulietta SS on the road and to satisfy a momentary curiosity piqued when I unpacked the Giulia SS, I got my rearview mirrors together and compared the parts. As you can see it is true that these two are exactly the same. Plan was to make the best unrestored mirror I could from the parts on hand, see if there were any parts I was missing and get a sense of the work required to have a restored mirror be the end result. I’m not missing any parts and to have a restored mirror I need to: Get the body re-wrinkle finished (~$5 can), get the base and surround rechromed (~$100) , get the glass resilvered (~$20) and put it all together. Assembled and parts side by side for comparison. The disassembled one came with the Giulia SS, the other was an eBay purchase. THIS is the mirror I needed as seen in Aarons Giulia Sprint. And a good side view of the base. If you have an SS, chances are this is the mirror you need. Update 12/20/09: Okay, so I’m an idiot. I bought the wrong mirror. Oh well. I think I can clean it up and find it a home. 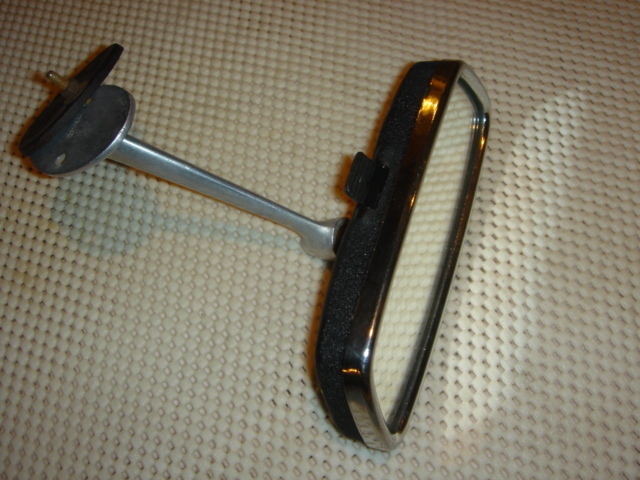 The mirror I need has a base like an earlier Sprint mirror but with the wrinkle finish backing and chrome front. I’ll get a picture up of it soon. Anyone need a Spider mirror? I’ve been watching, waiting, biding my time and bidding generously whenever I had the chance, but until today I was missing the important Giulietta Sprint Speciale -and a lot of other period 101 Alfa’s- ultra cool rear view mirror. Why so important? Why not just get some after-market deal? Well, you already know the answer coming from a guy who paid a lot to have a mold made in order to cast Carello marked SS tail light lenses (which have proven popular -email if you want a set). The answer, besides the fact that you look at it almost as much as the windshield, is that well, with so much effort going into everything else, this detail just needs to be correct. Why am I going on about this? Because I think I got lucky! Update 11/23/09: I started back in on the SS so I thought another repost about working on it would be good. I am especially proud of my efforts on this post and the one that followed it. I have spent a lot of time going through catalogs and making shopping lists so the GTV has to be sold soon to buy a bunch of the stuff I need. If you have any interest in a 69 GTV let me know. It wont be expensive. I am working on the SS rear end right now so look for another post about it soon. Original post 6/27/09. I know it’s hard to believe but I did some work on my SS! 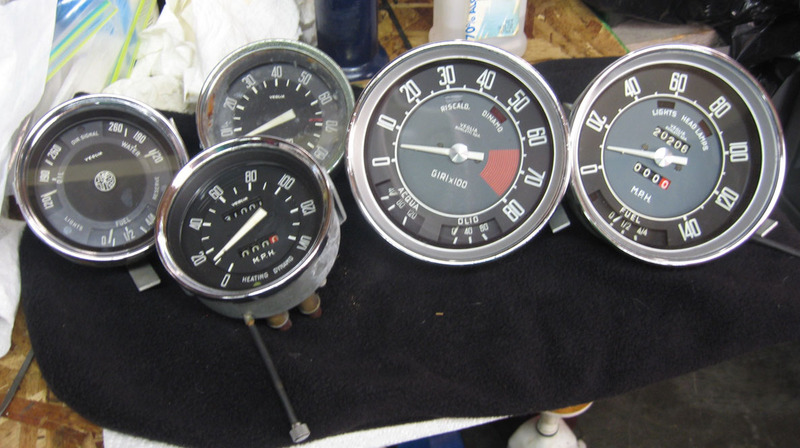 The buyer of Market 1 SS, that had the incorrect earlier style gauges, bought the Italian/metric gauges that came out of my SS so I started cleaning up the US market gauges I had been contemplating using. Funny what a wad of cash can help you decide. The condition of the US gauges turned out to be one of those better and worse at the same time deals. Cosmetically they looked bad and the guts were in need of cleaning and lubricating, but the fundamental parts were presentable and most important, the plastic had not yellowed, so I could make a good set out of them with a little effort. The fruit of my labor. Lot’s of spiffy gauges ready to tell me how I and my car(s) are doing. 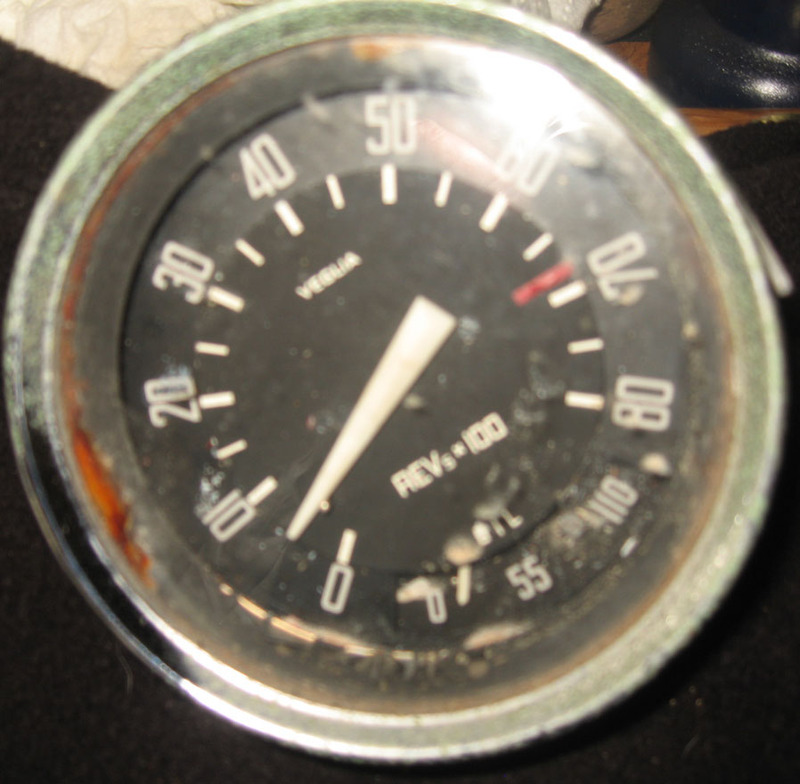 Still need to clean up the SS tach. I mentioned I was digging through my parts organizing them, well I came across this Giulietta SS Marelli wiper motor at the same time as the heater vents. It has been patiently waiting for me to clean it up and test it. It looked pretty good and clean on the outside but you know what they say about appearances so I decided to have a quick peek inside of it. I’ve never gotten into an electric motor besides a Bosch 105 starter that I took apart after it burned up from a solenoid stuck on. Imagining this wiper motor is only used on Giulietta SS’s and Ferrari 250 Lusso’s I went slow and was gentle with the tools. This is the before shot. I had been messing around with an old Weber so I had some fresh carb cleaner handy to clean the goo off the outside. I was digging through my parts again yesterday trying to organize stuff and get the parts for the SS grouped logically for when I get back on it once the Sprint engine rebuild is complete. I ran across a set of windshield defroster vents I picked up a while ago and a set I picked up recently and wow, big difference. 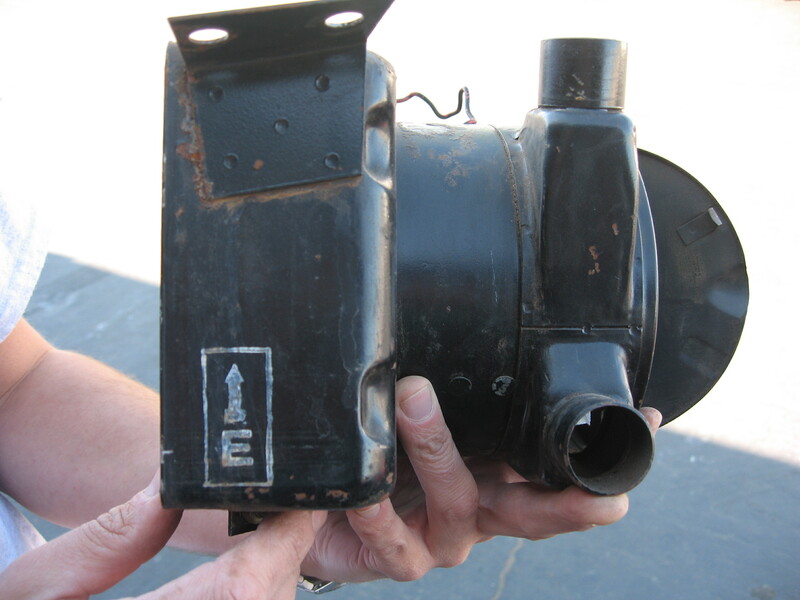 The parts book has two vents for the Giulietta SS and 3 vents plus a junction for the Giulia SS. I guess the Giulietta has problems with the window fogging and the defrost system required a redesign. Check them out below. These are the Giulieta items fresh from the media blast cabinet. These are contoured at the top to follow the curve of the windshield/dash intersection. 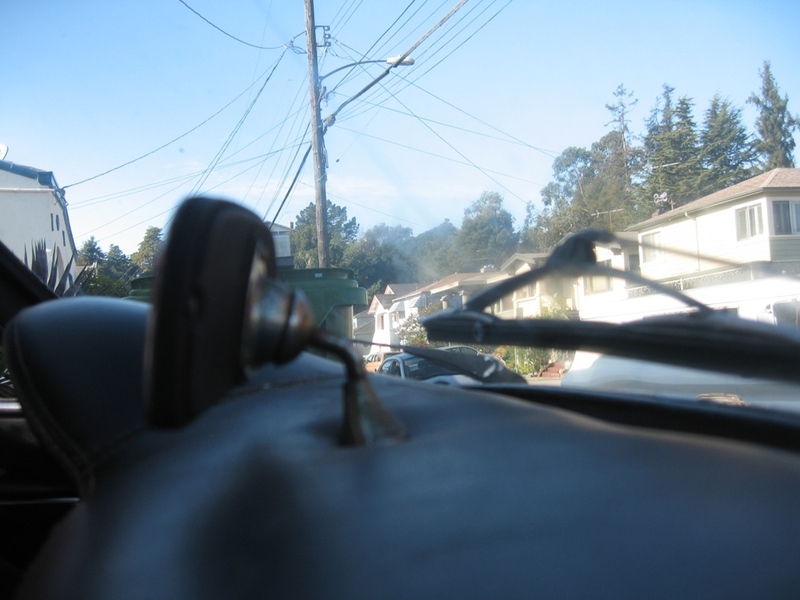 The clamp up top is a cotter pin style and was used to clamp the defroster hose to the vent. If you are restoring a Giulietta Sprint Speciale or Spider (or possibly many other late 50’s or early 60’s Italian cars Fiat, Ferrari, Maserati, Lancia etc among them) to as-new condition and are obsessed (I mean really obsessed) with originality, then you may have given thought to reproducing factory markings. These cars were made by hand then assembled by hand from parts that were made by hand. Hand written grease pencil notes on the backs of upholstery cards and on interior surfaces, hand stamped serial numbers, hand applied decals and rubber stamps all characterize these cars and the circumstances under which they were made. Erasing, preserving or recreating these markings during a restoration is a matter of personal choice. I don’t know if points are awarded or taken away during judging at serious concours events but if the spirit of the competition is to recreate the ‘new’ car then it seems to me these markings should be present. The first item in my ‘Original Details’ section is this heaterbox, as removed from a very original Giulietta Sprint Speciale.